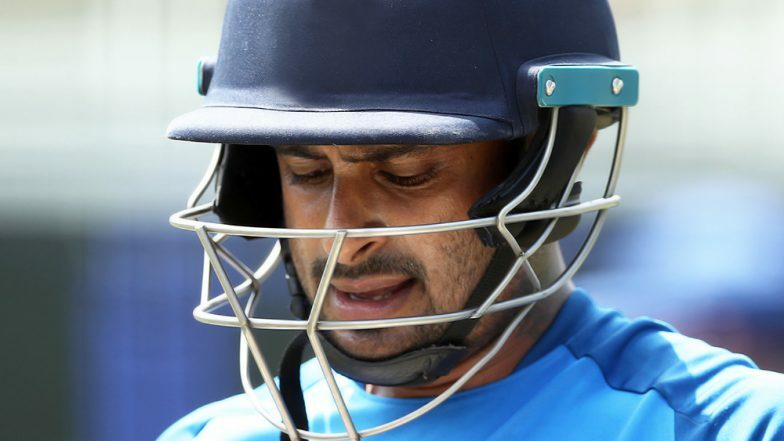 Ambati Rayudu, a day after getting ignored by national selectors from the Indian Cricket team squad for ICC Cricket World Cup 2019, put out a humorous tweet and took a sly dig at chief selector MSK Prasad. Rayudu said in his tweet that he has "Just Ordered a new set of 3d glasses to watch the world cup." India Team for ICC Cricket World Cup 2019 Announcement: Dinesh Karthik Included, No Place for Ambati Rayudu and Rishabh Pant. Rayudu's comment comes in the wake of MSK Prasad commenting during the declaration of the team press conference that Vijay Shankar was picked over Ambati Rayudu because of Shankar's "three dimensional skills" of batting, bowling and fielding. Rishabh Pant, Ambati Rayudu Not Part Of India Team For ICC Cricket World Cup 2019; Netizens Express Disappointment. On Monday, Team India's national selection committee announced the 15 member squad for the upcoming ICC Cricket World Cup 2019. Other than Ambati Rayudu's exclusion, Rishabh Pant not getting a ticket for the World Cup also surprised many. However Twitterati expressed happiness at Dinesh Karthik's inclusion in the squad.